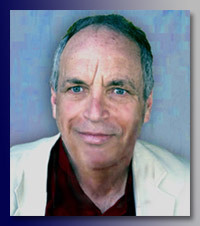 On the “serious” side, Stan Sinberg has worked as an award-winning newspaper columnist, blogger for business, marketing and customer service websites, ghost-writer for famous authors, features writer for “lawyer-oriented” magazines, content provider/brochure-writer for law firms, travel writer, and writing instructor. LEGAL FEATURES/CONTENT - Stan profiles famous and infamous attorneys for “attorney” publications, including Super Lawyers and California Lawyer. In addition, he has written and designed brochures and websites for attorneys (website information available upon request). BLOGS - Stan has blogged for numerous business sites, including zendesk.com, a site dedicated to all things customer service/customer relations, and has his own blog "Sinberg Sez" on this site. WRITING CLASSES - Stan has taught humor/essay writing, and travel-writing for ITWPA. For information about his upcoming classes, click here. On the “fun” side, Stan Sinberg’s career has included gigs as an award-winning humor columnist, satiric radio commentator, co-writer of an award-winning musical-comedy revue, and regular contributor to blogs and humor publications including MAD and the Weekly World News. In addition, he is a screenwriter and song-writer. RADIO & RANTS - Stan wrote/performed the weekly satirical commentary “Take a Stan” for “world-class rock” station KFOG in San Francisco. He is currently doing “rants” on Youtube.